What do Adult English Learners Say about their Pronunciation and Linguistic Self-Confidence? Adult English learners benefit from pronunciation instruction, reporting the importance of intelligible pronunciation for daily communication, employment, and higher self-confidence. As a teacher, I want adult English learners (ELs) in my classes to have the language skills and confidence to use English outside of the classroom so they can participate in society, develop relationships, and thrive at school and work. Most ELs will tell you they want the same things, and they work very hard towards these goals. However, in my observations, even advanced-level ELs can struggle to achieve them because they lack intelligible pronunciation and linguistic self-confidence (LSC), especially when it comes to talking with native speakers (NSs). What are advanced adult second language learners’ perceptions of their English pronunciation? To what extent is there a relationship between second language learners’ perceptions of their English pronunciation and their linguistic self-confidence? These research questions are explored in my original study, however they are not discussed in full in this article. Rather, the purpose of this article is to provide a brief summary of the major themes that emerged from data collected in my original study. This article features participants’ first had accounts of their perceptions of their English pronunciation and LSC. It also aims to provide practitioners with resources for teaching pronunciation. Why is Intelligible Pronunciation and Linguistic Self-Confidence Important? Intelligible second language (L2) pronunciation is important because ELs need it to function in daily life, participate in English-speaking communities, and develop relationships with people who do not speak the same first language (L1) (Gilbert, 1983; Murphy, 1991; Parrish, 2004). Managing daily life in an English-speaking environment involves communicating with native-speaking landlords, educators, and employers (Parrish, 2004). ELs are expected be able to interact with their peers, teachers, co-workers, and bosses in different kinds of situations (Murphy, 1991). Moreover, ELs need intelligible L2 pronunciation to be successful at school and work. Even advanced-level ELs otherwise considered proficient in English often need to improve their L2 pronunciation in order to meet academic and professional requirements (Johnson & Parrish 2010; Murphy, 1991). To clarify, intelligibility refers to “the extent to which the listener understands an utterance or message” (Celce-Murcia et al., 2010, p. 32), and pronunciation instruction that centers on intelligibility prioritizes pronunciation features that have the greatest impact on the speaker’s communicative competence (Celce-Murcia et al., 2010). Research indicates that suprasegmental pronunciation features including stress, intonation, and rhythm affect intelligibility more than segmental features (individual phonemic sounds) (Celce-Murcia et al., 2010; Derwing 2003; Field, 2005; Gilbert, 1983; Hahn, 2004; Levis, 2005; Munro & Derwing, 2011; Parrish, 2004). Of course, individual learners have different pronunciation needs and can benefit from instruction on individual phonemic sounds as well (Celce-Murcia et al., 2010; Parrish, 2004). The inability or unwillingness to use English outside of the classroom has been a challenge for many of the ELs in my classes. They lack the LSC to speak English with NSs, particularly in contexts that are ‘high stakes’ such as speaking to their boss at work. LSC is defined as “self-perceptions of communicative competence and concomitant low levels of anxiety in using a second language” (Noels, Pon, & Clement as cited in Hummel, 2013, p. 69). LSC is deeply connected to social contexts and social psychological factors, such as: motivation, identity, acculturation, anxiety, and the judgments of others (Dörnyei, 2003; Hummel, 2013; Noels et al., 1996). In fact, L2 communication can be blocked due to extreme anxiety experienced in certain communicative contexts (Woodrow, 2006). This is important because LSC is a significant part of language learning and relates to greater communicative competence and increased L2 usage (Noels & Clement as cited in Hummel, 2013). My experience teaching intermediate to advanced-level ESL in adult education and teaching international teaching assistants (ITAs) in university settings has solidified my belief in the importance of pronunciation instruction (even at advanced levels) and fueled my curiosity to investigate the relationship between pronunciation and LSC. I was also inspired by Derwing’s 2003 study, “What do ESL Students Say About their Accents”. In Derwing’s (2003) study, participants were asked to give examples of instances when they had been discriminated against because of their accents, and there were more negative statements that reflected “lack of attention, rudeness, anger, and deliberate misunderstanding” (p. 557) than positive statements. What struck me the most about this study were the powerful firsthand statements from ELs about their pronunciation skills, so I decided to focus on ELs’ perceptions in my own study. Maria was an adult student in my advanced-intermediate ESL class years ago, and a prime example of an intermediate-level learner who struggled with pronunciation and LSC. During conferences, I asked Maria how she felt her English was progressing, she became very emotional as she described her problems communicating. She said, “My co-workers don’t like the way I talk. They don’t understand me. My pronunciation is so bad. They say ‘What? Huh?’” Then she told me she recently turned down a promotion because the new position involved speaking English to customers. Now she regretted the decision and felt disappointed in herself for being too scared to take the job. The promotion would have meant a higher wage and more hours, which she needed to send more money home to her mother who was caring for her children. It also would have been a chance for Maria to interact with more people and perhaps feel less isolated at work. Maria’s problems with low LSC caught me off guard because she was generally intelligible and appeared confident in class. She was friendly, talkative, and even willing to get up in front of the class and do role plays with other students. It had never occurred to me that she struggled to communicate outside of the classroom. In Maria’s case, low LSC was a greater barrier than her pronunciation. However, ELs have problems in both areas. Even those who are proficient in English but speak with an accent may struggle with pronunciation and LSC (Hummel, 2013). This became clear to me when I taught pronunciation to international students who were preparing to be teaching assistants for undergraduate students in the science, math, and engineering departments at a local university. The majority of ITAs in this program were from countries such as India and China, and they were very knowledgeable in their fields and technically proficient in English according to the tests they had to take to enter the American university system. In the context of their home countries, they were probably considered highly intelligible in English, and perhaps had never experienced judgements of their pronunciation. This was specifically true for the Indian ITAs, who spoke a variety of English as a native language. In the context of studying and teaching in an American university, however, many were considered unintelligible. One day before class, I heard a small group of ITAs discussing the anxiety they felt about their upcoming micro-teaching exam and about teaching in English to NSs. They said their speaking was the only thing that made them feel stupid. They were nervous that undergraduates would not respect them and thought they would be hostile towards them because of their accents. It was clear they perceived their pronunciation as a problem that negatively affected their ability to stand up in front of a classroom and deliver lessons.The next day in class I reassured them that their pronunciation was not a major barrier, and we practiced role play scenarios dealing with problems in the classroom and projecting confidence while teaching. The ITAs reported that these activities made them feel more prepared for real-world teaching. Primary research was done at a local urban language institute with advanced-level adult learners from the two highest level ESL classes. Participants consisted of six women and four men from a variety of countries including: Iran, India, Colombia, Thailand, Spain, and Somalia. All of them were highly educated in their home countries, and two completed advanced degrees in the US. The majority of the participants were employed at the time of this study. The research tools were a questionnaire and one-on-one interviews. Ten participants completed the questionnaire, which consisted of 22 ranked choice questions using a 4-point Likert scale of strongly agree, agree, disagree, or strongly disagree about pronunciation skills, feelings about pronunciation, and experiences using English outside of class. Eight of those ten completed one-on-one interviews, which focused on topics similar to the questionnaire and encouraged participants to give personal examples. Data from the questionnaires and interviews were analyzed and reported individually, then data from the questionnaire and interviews were analyzed to find major themes. In this article, only major themes and selected samples of participants’ comments are presented. ELs report a perception that their L2 pronunciation affects the quality of their lives in terms of their general communication skills, relationships with NSs, and, most notably, career advancement. Participants in this study reported using English on a daily basis in a variety of contexts. Most use English with colleagues at work, other ELs in their classes, and NSs in the community. A few of the participants are married to NSs, and use English at home. Moreover, data collected in this study showed that ELs are keenly aware of the role of pronunciation for academic and professional purposes. Participants reported they would need to speak English for educational and employment purposes. They indicated that they would qualify for a wider range of jobs, present themselves better in job interviews, have more professional job offers, and be able to advance at their current places of employment if their pronunciation was better. My life would be easier, especially for working. In my opinion, this country is all English, and people want to hire people who speak English, and writing. If we have clear speaking it would be benefit to help customers and clients. Also in daily life-shopping. More people would understand and I would feel more confident. ELs often do not understand what their pronunciation problems actually are in terms of the features that research suggests contribute most to intelligibility because they have not been taught. At the time of the study, nine out of ten of the participants were enrolled in English classes, and three of the participants were taking a pronunciation class. Those enrolled in the standard ESL class were studying grammar, reading, and writing. Pronunciation instruction was not part of their class. The three who were taking pronunciation specifically seemed to enjoy their class and felt they were improving their speaking in general. However, when asked how their teacher incorporated pronunciation into the class, the majority reported learning a variety of segmental features (individual phonemic sounds) not suprasegmental features (word stress, intonation, and rhythm, for example). These findings are concurrent with those in Dewing’s (2003) study, in which she suggests the fact that her participants claimed segmental problems were the root cause of their communication problems indicates that they do not know what their pronunciation problems really are. Farid also agreed that his native language, Farsi, was not at risk if his English pronunciation improved. However, he also told a story that suggested he perceived a relationship between pronunciation, group identity, and acculturation. I was walking on campus and I saw a man looking at me that I didn’t know. I knew he was Azerbaijani and he was going to talk to me, so I prepared myself to speak only Azerbaijani because it’s bad to speak English to someone who is Azerbaijani…like you’re trying to hide that you’re from Iran or trying to show off or something. So, I was focusing on speaking only Azerbaijani, but then I said ‘Do I know you?’ in English, and he was shocked, and I was shocked. At work I accidently said something in Azerbaijani instead of English, so it happens both ways. This is because I’m only 80% with my English and Azerbaijani. This won’t happen with Farsi because I am 100%. It’s like swimming. You never forget. About culture, I’m not worried about that. There is an apparent relationship between ELs’ perceptions of their own pronunciation and LSC, however to what extent is unclear. As previously mentioned, LSC refers to the speaker’s self-perceptions of their ability to communicate in their L2 and the levels of anxiety they associate with it (Noels, Pon, & Clement as cited in Hummel, 2013). Participants in the study described a variety of thoughts and feelings about their L2 pronunciation that suggest anxiety and a lack of LSC when speaking to NSs. For example, Raha said it bothers her that she cannot communicate her ideas because she is an educated person with many valuable things to add to conversations. She said most of the time she remains quiet because she feels she cannot say what she really means. Speech communities and speech acts have effects on ELs’ perceptions of their pronunciation as it relates to their LSC. Natalia, Rajan, and Farid reported feeling generally confident about their pronunciation, but they said their confidence is affected by who they are talking to and subject matter of their conversations. I feel confident when I hang out with the other girls in my program. They are au pairs from Germany and Switzerland, and we have to talk in English. We talk about the job and I know a lot about that. I feel confident speaking to people my age my peer group. My colleagues are okay. When I speak with my boss I’m not confident. Or in a meeting when there are many people talking. I’m not comfortable jumping in and giving my ideas. I don’t know the words or the social situation to do it. What I lack is confidence. Several things are mixed here. There’s a fear factor. I’m not an outgoing person. I think, ‘What if they think I’m stupid?’ So, I talk slowly and make sure I say things correctly, or they think I don’t know anything. It depends on who the people are and what the topic is. At work I have two Chinese coworkers, and sometimes I feel more confident, not confident-comfortable talking to them because they have the same problems. Sometimes they need to take their time to make their sentences, so I feel free to do the same. But when I’m speaking to a NS or my supervisor I feel stressed because I want to do better. I’m not that bad, but I’m never satisfied-not only with pronunciation. The language in general. It’s a daily challenge. I face that challenge every day. After three years and graduating from an American university, my colleagues still have a hard time understanding me. It’s not about them though. I have high expectations for myself. I always want to keep learning. My English can never be equal to Farsi. I was a very good presenter in Farsi. When I spoke in Farsi I had everyone’s attention. I saw a presentation in English and the speaker was so good. I’m not that in English. When I saw that presentation it made me regret leaving my country. I see the difference and I’m disappointed. Pronunciation research advocates suprasegmental instruction (stress, rhythm, and intonation) over segmental instruction (individual phonemic sounds) because suprasegmental features have a greater impact on overall intelligibility (Celce-Murcia et al., 2010; Derwing 2003; Field, 2005; Gilbert, 1983; Hahn, 2004; Levis, 2005; Munro & Derwing, 2011; Parrish, 2004). Additionally, research suggests that it is more practical for most ESL teachers to focus on suprasegmental features because the majority of ELs need suprasegmental instruction of some kind, and it might not be realistic to teach segmentals to a classroom that consists of a multiple L1s and L2 pronunciation needs because ELs have different needs in terms of individual phonemes. (Celce-Murcia et al., 2010; Derwing, 2003). In my experience teaching large classrooms of diverse ELs, it is difficult to diagnose individual segmental problems and provide instruction to suit everyone’s needs. It is generally not practical because there is not enough time or staff to devote to this type of instruction. On the other hand, I have found that suprasegmental instruction is possible with large groups of diverse ELs. As Suzanne McCurdy, a local teacher trainer, phrased it, “Teachers and students get more bang for their buck by focusing on suprasegmentals” (S. McCurdy, personal contact, July 23, 2015). In my opinion one of the easiest ways to teach pronunciation is to integrate it into existing lessons you are already comfortable teaching. One way to do this is to make it a habit to teach word stress every time you teach new vocabulary. Learners can be taught how to count syllables, listen for the strongest or stressed syllable, discriminate between different stress patterns, and say stressed syllables louder, longer and higher in pitch. I have found that learners pick up on this quickly and enjoy learning how to pronounce new words. Another practical way to integrate pronunciation is to teach rising and falling intonation in questions. Questions that elicit YES/NO (Do, Can, Will etc.) 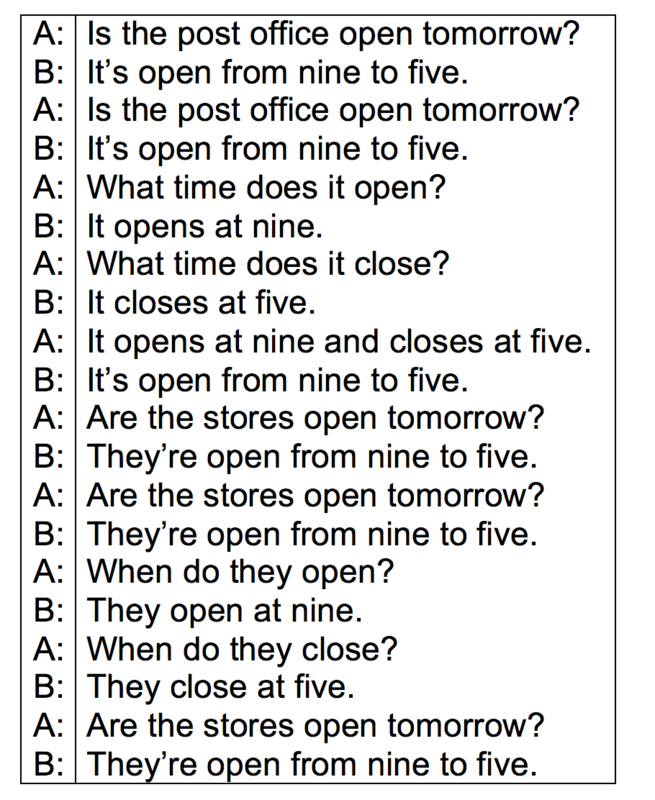 answers generally have rising intonation, whereas questions that are answered with more information, such as who, what, when, where, or why questions have a falling intonation. Once you feel comfortable teaching word stress and question intonation, you may decide to try teaching other aspects of pronunciation as well. Please see the Sample Pronunciation Lesson Plans section below for a word stress lesson plan and an intonation lesson plan. Below are two separate sample lesson plans that can be used to introduce and practice pronunciation skills. In my experience, these lessons are a good place to start if pronunciation instruction something new in your classroom. The first lesson plan focuses on word stress and can be used any time new vocabulary is introduced and adapted for most levels, whether you are teaching a beginning or advanced level class. The lesson has four main parts, marked by numbers 1-4, and steps under each part are marked by a bullet points. It should be noted that the first and second parts of lesson one that use circles to indicate syllable stress is common and be found in various pronunciation texts. This activity was used to integrate pronunciation into a lesson for a high-intermediate EL Civics Class of adult learners. In this activity, students work through a four part lesson, which is shown in numbers 1-4 below. First, students will be able to identify word stress by listening for syllables that are longer, louder, and higher in pitch and practice saying the words with correct stress. Next, students sort the vocabulary words into categories. Then,students think of their own words to sort into the categories. Finally, students will be able to take turns dictating the vocabulary words to a partner and marking word stress. Continue this process with all twelve words, having students listen, repeat, and say how many syllables there are and which one is stressed. Finally, start with maintain again and model using the circles o O to show stress, as is pictured on the right. Erase the board and give groups get a stack of cards with the same vocabulary words on them. Also give students papers that show possible stress patterns (in circle form). See an example on the right. Groups work together to say and sort the words based on their stress pattern. Teacher walks around to monitor the students’ work and help pronounce words if needed. Give each group some blank papers and ask them to think of new words that can go under each stress pattern. These can be simple words students use in regular conversation, like classroom (Oo). If there is time and wall space, hang up the stress patterns and vocabulary words on the wall for practice the next day. Students can add new words to each category before class starts or as a warm up activity. Pairs receive a list of the vocabulary words and a blank piece of paper for dictation. One student reads the word (teacher monitor for correct stress) and students write the word and stress pattern. Switch roles so both students have the chance to write. Teacher and volunteers circulate to help students with stress patterns. Review the answers as a class. This lesson was used in an intermediate speaking and listening class for adult learners as well as a college level class for international students. The purpose was to introduce raising and falling intonation in questions. I used Is the Post Office Open Tomorrow? From the book Small Talk: More Jazz Chants by Carolyn Graham (Graham, 1986). Give each student a copy of the Jazz Chant. Play the Jazz Chant using the CD provided with the book. If you do not have the book you can easily do this yourself using your own voice. Start by modeling the Jazz chant for students, then they can listen and repeat as many times as wanted. Students identify the questions in the Jazz chant and listen to the recording (or teacher) again. Tell them to listen to the end of the question and decide if the intonation goes rises or falls. Model this on the board with practice questions. Ex. What time is it? and Is the weather warm today? Play the Jazz Chant again and while students write up or down arrows next to each question. For an example of a Jazz Chant, see the figure to the right (Graham, 1986, p. 63). Ask students which questions have rising intonation and which have falling intonation? Why? Give students a few minutes try to find the pattern. Discuss as a class, then explain that questions that have Yes/No responses (is, do, have etc.) generally have a raising intonation and questions that elicit more information (what, when where etc.) have a falling intonation. As a class, using the board, make various different kinds of questions and practice rising and falling intonation. Pairs create role plays (modeled after the Jazz chant) that include questions and perform role plays for class. Class listens for raising and falling intonation and provide feedback to performers. d on the subject, because you can not only learn about teaching methods and activities, but also practice them and take home sample materials. The online resources below are from the ATLAS ABE Teaching and Learning Advancement System (ATLAS). They are handouts and presentations from professional development events in Minnesota put on by ATLAS. The links below provide clear actionable pronunciation activities you can try in your classroom. This article provided a brief summary of major themes that emerged from data collected in an original study and highlight participants’ first had accounts of their perceptions of their English pronunciation and linguistic self-confidence.The study found that adult English learners benefit from pronunciation instruction, reporting the importance of intelligible pronunciation for daily communication, employment, and higher self-confidence. In order to help learners improve their intelligibility, practitioners should consider teaching suprasegmental pronunciation features such as stress, rhythm, and intonation (Celce-Murcia et al., 2010; Derwing 2003; Field, 2005; Gilbert, 1983; Hahn, 2004; Levis, 2005; Munro & Derwing, 2011; Parrish, 2004). The two sample lesson plans included in this article are intended to be jumping off points for practitioners who want to integrate suprasegmental pronunciation instruction into their curriculum. Additional pronunciation activities can be found through the online links above. Celce-Murcia, M., Brinton, D. M., & Goodwin, J. M. (2010). Teaching pronunciation hardback with audio CDs (2): A course book and reference guide Cambridge University Press. Derwing, T. M. (2003). What do ESL students say about their accents? Canadian Modern Language Review, 59(4), 547. Dörnyei, Z., ed. (2003). Attitudes, orientations, and motivations in language learning: Advances in theory, research, and applications. Language Learning, 53, 1-213. Gilbert, J. B. (1983). Pronunciation and listening comprehension. Cross Currents, 10(1), 53-61. Hahn, L. D. (2004). Primary stress and intelligibility: Research to motivate the teaching of suprasegmentals. TESOL Quarterly, 38(2), 201-223. Johnson, K., & Parrish, B. (2010). Aligning instructional practices to meet the academic needs of adult ESL students. TESOL Quarterly, 44, 618–628. Levis, J. M. (2005). Changing contexts and shifting paradigms in pronunciation teaching. TESOL Quarterly, 39(3), 369-377. Murphy, J. M. (1991). Oral communication in TESOL: Integrating speaking, listening, and pronunciation. TESOL Quarterly, 25(1), 51-75. Noels, K., Pon,G., & Clement, R., (1996). Language, identity, and adjustment: The role of linguistic self-confidence in the acculturation process. Journal of Language and Social Psychology. 15(3), 246-264. Parrish, B. (2004). Teaching adult ESL: A practical introduction. New York, NY: McGraw-Hill ESL/ELT. 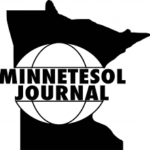 Jennifer Zoss is an Adult ESL teacher in the Twin Cities. Jennifer has an MA in ESL from Hamline University and has been working with learners in adult basic education for eleven years. She also enjoys teaching international students at the college level and hopes to continue working with students in both settings. Her favorite topics to teach include pronunciation, grammar, and academic skills and culture. However, she believes that one of the best parts of teaching is simply being with the students every day and learning from them.